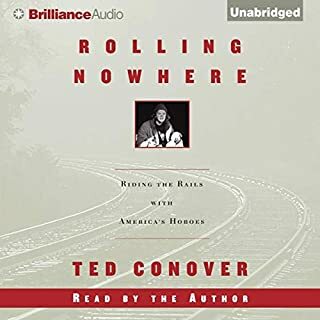 Riding the rails, Ted Conover tasted the life of a tramp with companions like Pistol Pete, BB, and Sheba Sheila Sheils. From them he learned survival skills - how to "read" a freight train, scavenge for food and clothing, avoid the railroad "bulls." He was initiated into the customs of their unique, shadowy society - men and women bound together by a mutual bond of failure, camaraderie, and distrust. 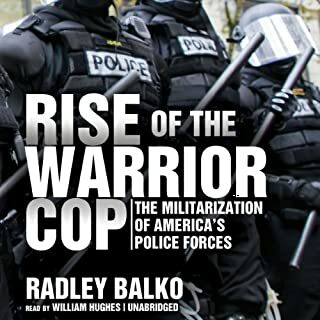 This audiobook attempts to spark public discussion by revealing the tainted origins of modern policing as a tool of social control. It shows how the expansion of police authority is inconsistent with community empowerment, social justice - even public safety. 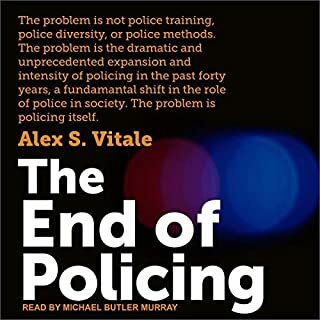 Drawing on groundbreaking research from across the world, and covering virtually every area in the increasingly broad range of police work, Alex Vitale demonstrates how law enforcement has come to exacerbate the very problems it is supposed to solve. Crystal methamphetamine is widely considered to be the most dangerous drug in the world, and nowhere is that more true than in the small towns of the American heartland. 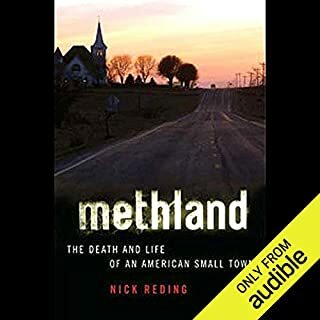 Methland tells the story of Oelwein, Iowa (pop. 6,159), which, like thousands of other small towns across the country, has been left in the dust by the consolidation of the agricultural industry, a depressed local economy, and an out-migration of people. 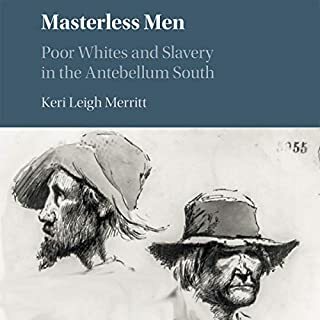 With the rising global demand for cotton - and thus, slaves - in the 1840s and 1850s, the need for white laborers in the American South was drastically reduced, creating a large underclass who were unemployed or underemployed. These poor whites could not compete - for jobs or living wages - with profitable slave labor. Though impoverished whites were never subjected to the daily violence and degrading humiliations of racial slavery, they did suffer tangible socioeconomic consequences as a result of living in a slave society. Roads bind our world—metaphorically and literally—transforming landscapes and the lives of the people who inhabit them. 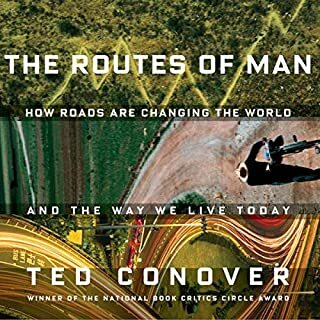 Roads have unparalleled power to impact communities, unite worlds and sunder them, and reveal the hopes and fears of those who travel them. Inner-city black America is often stereotyped as a place of random violence; in fact, violence in the inner city is regulated through an informal but well-known code of the street. How you dress, talk, and behave can have life-or-death consequences, with young people particularly at risk. The most powerful force counteracting this code and its reign of terror is the strong, loving, decent family, and we meet many heroic figures in the course of this narrative. 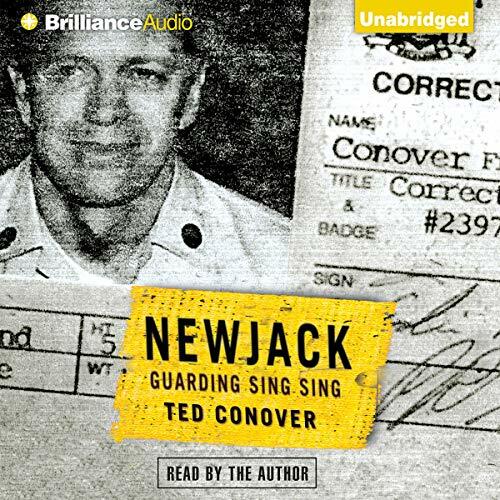 Newjack: Guarding Sing Sing is the story of Conover's rookie year as a guard at Sing Sing. It is a nerve-jangling account of his passage into the storied prison and the culture of its guards - both fresh-faced "newjacks" like Conover and brutally hardened veterans. As he struggles to be a good officer, Conover angers inmates, dodges blows, works to balance decency with toughness, and participates in prison rituals - strip frisks, cell searches, cell "extractions" - that exact a toll on inmates and officers alike. 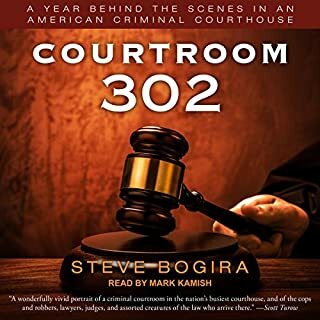 The tale begins with the corrections academy and ends with the flames and smoke of New Year's Eve on Conover's floor of the notorious B-Block. Along the way, Conover also recounts the history of Sing Sing, from draconian early punishment, to fame as the citadel of capital punishment, to its present status as New York State's "bottom of the barrel" prison. 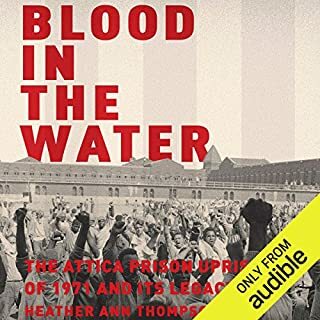 This book will become a landmark of American journalism - the definitive presentation of the impasse between the need to imprison criminals and the dehumanization of inmates and guards - that almost inevitably takes place behind bars. ©2001 Ted Conover (P)2005 Brilliance Audio, Inc. I have always been interested in what really takes place in a prison. Sing Sing is one of the most famous places in the world. Ted Conover did a great job, and should be applauded for his research, fine writing and his outstanding voice reading his own work. Thank you Ted! Personally I don't know how you survived the time you spent at Sing Sing as a guard. I would have been jumping out of my skin doing your job. The best part of this book, for me, was the Psycho or Bug ward and the Block. Your descriptions could not have been more accurate. Thanks again for painting a visual picture for me. 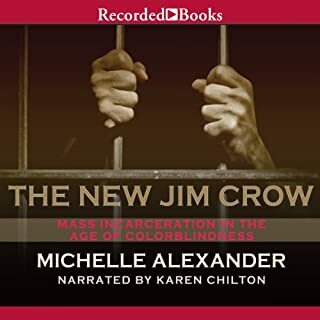 I think "Newjack (Unabridged) read by the author, not only explains the stress a guard has to endure, but also the emotional impact of the prisoners as well. 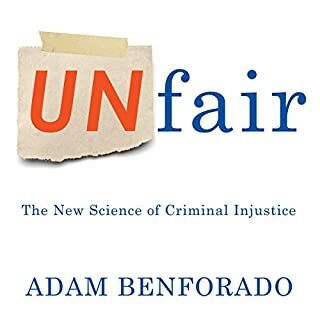 This is a must read for anyone that has never been to prison and others that may think that crime pays. I want to introduce this book to my High School Students to read. I think it will shock young adults to take a positive approach to his or her life. That is how real this book was to me! As a footnote: I teach at risk High School Students. Awesome Book -- Well Worth the Credit!!! A very easy read and seemingly accurate account of prison life at the infamous Sing Sing state prison outside of New York. The interesting twist here is that we get the story from the perspective of a newly minted C.O. -- a "Newjack." The narration was above-average, although some of the character voices were a tad on the funny side. In any event, I highly recommend this book and consider it a credit well spent. it was cool to listen to the details of Conover's experiences as a prison guard. tough job. 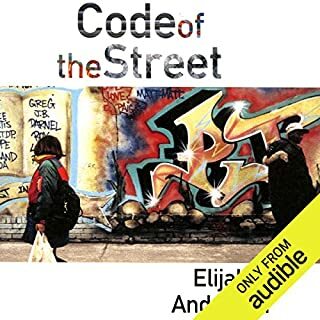 Where does Newjack rank among all the audiobooks you’ve listened to so far? What was one of the most memorable moments of Newjack? Conover himself...although his descriptions of fellow academy cadets, supervisors, and inmates were so colorful I could see them. I'm a psychologist but I was also a police officer. This book was solid in reality and it made me feel like I was back on duty as a patrol officer. I was really impressed that an academic had gone to this length to go undercover for the sake of qualitative research. I can't say how much I respect him for what he did because in that job there is nothing but danger and it sets upon you fast, before you realize it at times. Conover puts himself in another realm from dry academics who sit behind computers only spouting theories and pontificating about the real world....he experienced it first hand ! Having been a police officer I can tell you...everyone should know what it is like to have to be on the front line in the middle of the night pulling over a car full of suspicious guys on a dark highway by yourself with backup coming from a mile away. Once you've experienced that, you have a different point of view. In Conover's case, he was a corrections officer, and I totally respect those men and women because they don't have weapons while out numbered in tanks full of people that the average person doesn't even know exists. Great book full of insights on life and it never preaches politics. “Newjack” is a tepid indictment of prisons. It is about doing time, both as a prisoner and as a guard. Clanging prison doors and simmering discontent are evident in Ted Conover’s book but it is not a polemic for prison reform. Conover surreptitiously becomes a Corrections Officer at a storied New York prison called Sing Sing (30 miles north of NYC). He enters a seven week boot camp and four-week “On Job Training” program to become a C.O. (Corrections Officer) for one year, including his 11 week training period. Prisoners are being taught to believe that helping one’s fellow man is not a societal benefit. Prisons do not reform prisoners; i.e. prisons warehouse human beings and return most of them to society after time served. This is a sad commentary about an American prison system that incarcerate 716 human beings for every 100,000 residents, the highest per capita incarceration in the world. What did you like best about Newjack? What did you like least? Newjack was an eye opener to many things I didn't know about the prison system. It highlighted many of the stresses of being a guard but also had retained some sense of empathy towards the prisoners. This was absolutely fantastic. I spent time at sing sing during a film shoot for an untitled pilot. During that time the CO's recommended I read this to give me some insight into what they deal with on a day to day basis. This book is absolutely fantastic. Thank you Ted, you're showing light on a job that is thankless and underreported. you're a saint. Great book with rare insight! A very entertaining book that never lost my attention. 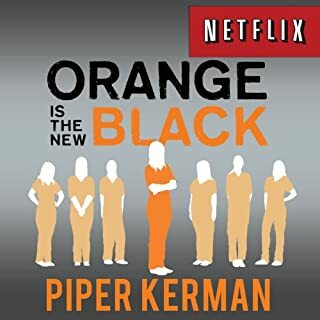 The detail in the descriptions of inmate relationships with each other as well as the guards and also the drudgerous grind of working in a State run institution seemed spot on and were relayed in a way that keeps you wanting to know what happens next. For a documentary of sorts, this author has done well both in writing a story that is captivating and informative to boot. He also does a very nice job of narration. I recommend this book to anyone who is interested in how prison life can affect both the prisoner as well as those that keep him captive. Different perspective on prison life. Would have been interesting to hear more stories. Conover was respectful towards both inmates and guards in his reporting - would liked to have heard conovers perspective on more of the “messy’ stuff like gangs, etc. he made sing sing sound pretty tame.